Hospices are amazing places but often their digital content is missing something. Websites, email and social media tend to be dominated by their excellent community fundraising rather than telling the story of what they do and making an ask. I have been working on a few projects with hospices recently. Here are some great examples and my top tips for hospice comms. Statements like this can be difficult to write as each word and the tone of voice counts. 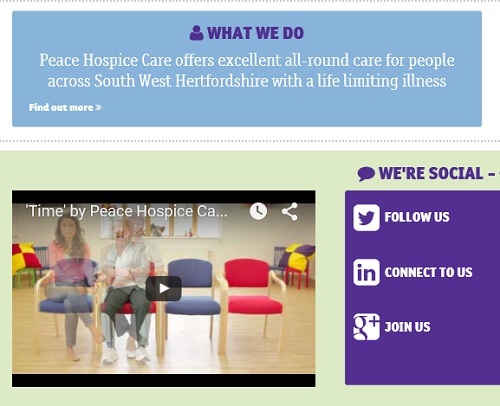 Look at what other hospices do to get some inspiration (such as the example from Peace Hospice Care below). Then brainstorm key words and phrases that you want to use. Test out your draft statements with colleagues and the people you support to get some feedback. Once finalised, you can use this statement in lots of different ways across your different channels. 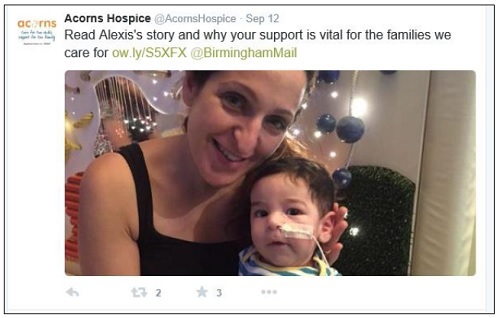 Hospices mainly use social media to drum up supporters for events and fundraising activities. Don’t miss the chance to use it to show the detail of what you do. Short statements, graphics and photos showing your work can be very effective as these two tweets from Haven House Children’s Hospice show. 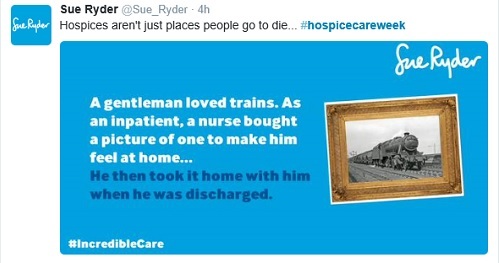 And use social media to dispel general myths about hospices (as shown in this tweet from Sue Ryder). 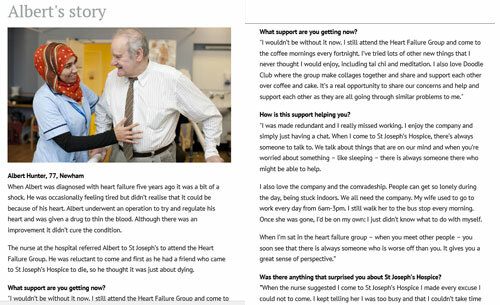 Do you have a ‘why support us’ page in your fundraising section? 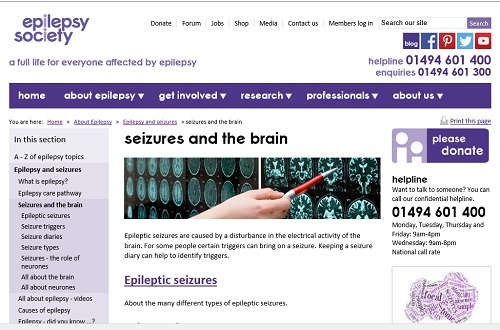 Supporters may need more persuading than a ‘please donate’ ask and information in your ‘about us’ section might be tailored for friends, family and carers rather than new supporters. 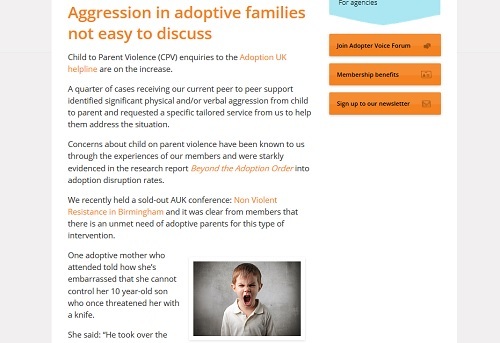 A ‘why support us’ page can give you a space to explain what you do and how much it costs. Here is a good example from St Joseph’s Hospice. How do you tell the story of the people you support and the wider story of your organisation? Case studies are widely used but often feel quite formulaic. Getting people to read a carefully crafted but devastating story in 800 words can be hard. About us pages covering your history and founder can also be very dry. 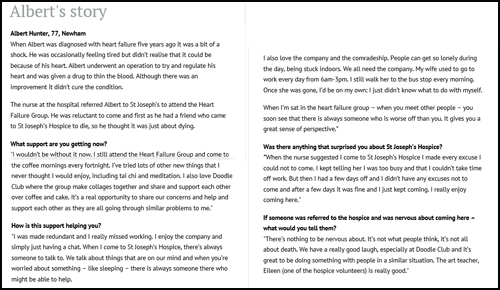 Reframe your case studies as stories written by the subject (like Norma’s story from Severn Hospice or Margaret’s story from Hospice in the Weald). These sound more authentic and engaging. You could still write the story yourself based on what they have told you but write it in their voice and with their signoff. 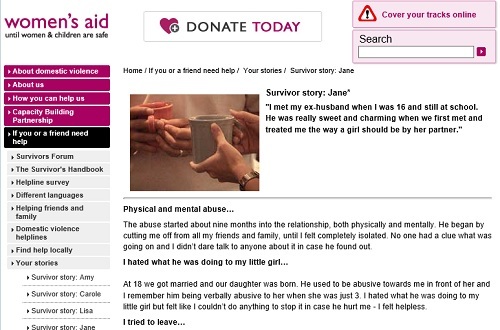 Many charities invite their users to write about their experience. 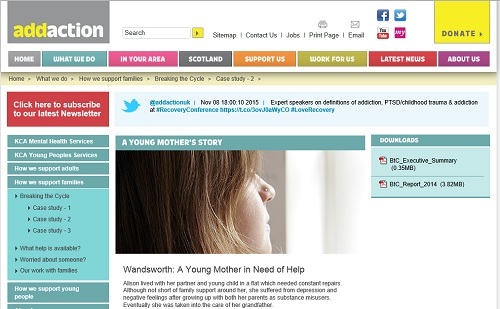 For example, the mental health charity Mind have blog posts written by users. 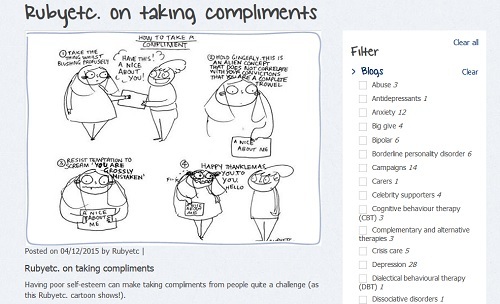 Their ‘in our own words’ section includes users’ #mentalhealthselfies and #drawmylife videos. 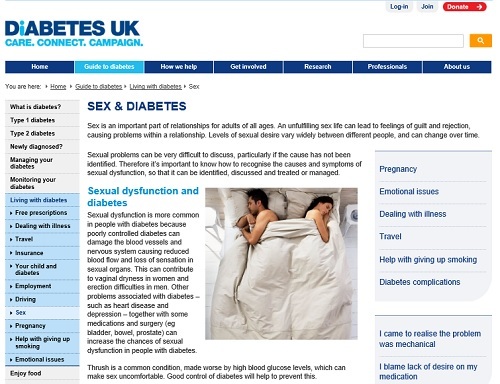 They have produced comprehensive guidelines to help people write for them. Many of the people you support will be too ill to share their story and it won’t be appropriate to ask. Are there other ways you can tell a story? 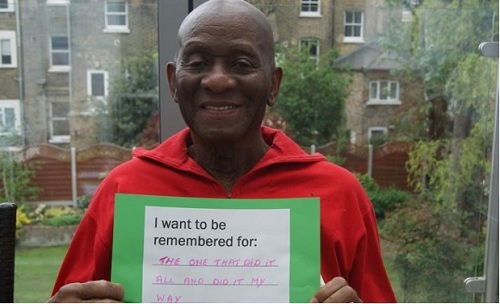 Could your volunteers, nurses or care staff contribute? Could you tell a story from the perspective of a mascot or piece of equipment (such as a teddy bear, bench in the garden or the tea machine)? Being creative can engage readers and lighten the tone (as these tweets from Arthur Rank Hospice show). Your stories should end with an ask (eg ‘please help us to help people like Steve’) or at least a link to ‘find out more about our services’. This is so often overlooked. People reading an emotional story may want to do something to help. Make it easy for them or nudge them to do so. If it doesn’t feel right, test it out for a month or so. If it doesn’t work, take it off or change the wording. Photos are key to a good story. They invite the reader in and give an indication of what the story will be about. Poor quality or unclear photos can put off a reader. Stock photos of healthcare can stick out like a sore thumb. Photos of your own setting, staff and patients are much more authentic and help bring your organisation to life. What is your housestyle for photos? Photos can be shocking, moving or funny in the right context. They don’t have to be professionally taken but should tell a story. These lovely images from an Acorn’s Hospice story in a local paper are family-taken pictures. Comment boards can be a very effective way of telling a story or getting a message across. They can be quick and easy to do. 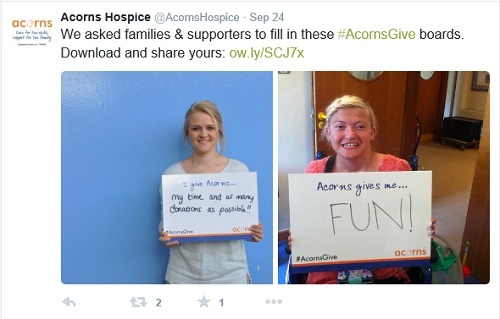 Try a simple statement such as these examples from Acorn’s Hospice (I give Acorns…. / Acorns gives me). Video is perhaps the most impactful tool you can use. A 2minute film showing what you do can be more effective than pages and pages of written content. Think about the stories you can tell through film. What are the key messages you want to get across? Who is the audience for your film? What do you want to persuade them to do after watching? How can you use video alongside your other communications? Video has the potential to show very moving stories. Some hospice stories have been very hard-hitting. It can be risky to produce a film which is very upsetting as you can risk alienating your audience and community. Planning and editing a video should involve lots of questions about the sensitivities of the subject and viewer. There are lots of inspiring examples to look at to help you think about how you could use video. 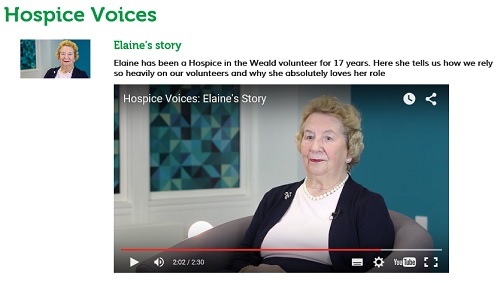 I love this film of volunteer Elaine talking about her experience of Hospice in the Weald. This video from Haven House Children’s Hospice is upsetting but very powerful. It has had over 950 views. And this film from Princess Alice Hospice is a simple slideshow of photos showing what they do. There are lots of practical tips about video in this post by Jude Habib: Bring your story to life through video. 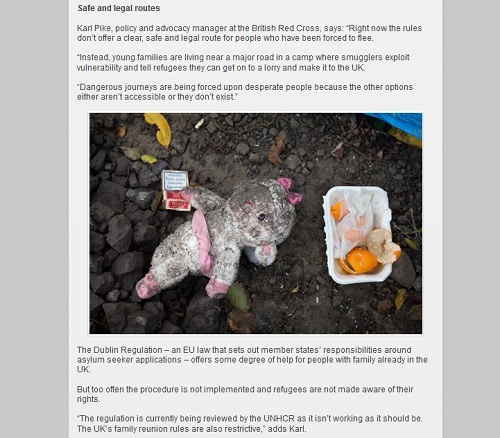 Find out more about YouTube’s charity help including how to apply overlays and donate buttons. Do you include JustTextGiving details on your donation page? Willowbrook Hospice’s donation page starts with the SMS details, then list other methods including charity shop donations. What does your housestyle say about how you talk about death and dying? What terminology is appropriate for your organisation and audience? Do you talk about it in a clear way or skirt around the topic? Do you use euphemisms? Is this the language used by your audience? Do you use a different style for different channels? Are you using terminology which alienates your audience? Are you sure that everyone knows what terms like palliative care, multi-professional teams or even life-limiting conditions mean? Storify can be a powerful way to document an event or your work around a particular theme. See: Content curation. 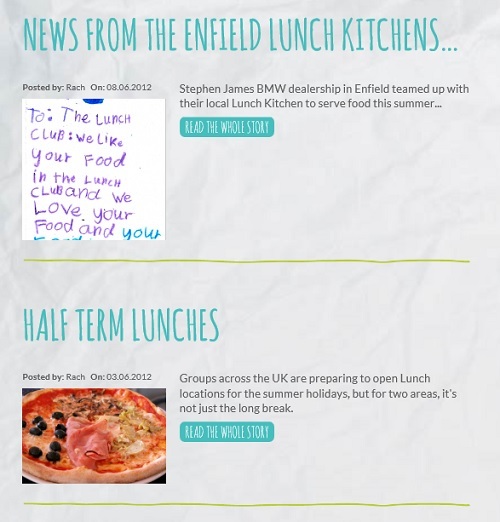 Keep up with what other hospices are doing. Watching out for new fundraising methods will give you new ideas. For example, St Joseph’s have a sponsor a nurse programme is very well put together and St Helena Hospice run a big-bucket-a-thon. What tips or examples would you add? I’d love to hear about your experience. What works well for you? What did you try and then scrap? Please share using the comments box below. I help charities and non-profits with their content. Whether you are looking for training for the team, copywriting or some input into your content strategy, please get in touch. 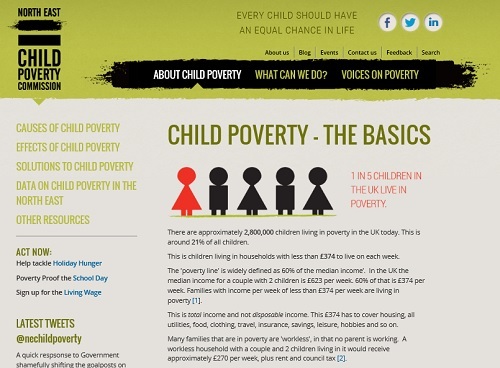 See also Legacy Fundraising – tips for persuasive and engaging web copy.